Reportedly, the predictions made by the AI system align with some popular fan theories. The penultimate season of Game of Thrones is over and with that, the Great War has begun, but what about all the questions the season finale left us with? Well, don’t expect the answers anytime soon as it will take another 2 years for the eighth and final season of the hit HBO series to air. So, with the final season not premiering until 2019, ardent fans of author George R.R. Martin’s epic fantasy A Song of Ice and Fire - the series that the HBO show is based on - have grown so impatient for Martin to finish the next book that an artificial intelligence system just wrote the beginning of the sixth book. Software engineer and self-professed Game of Thrones fan, Zack Thoutt, has created an AI system, known as a recurrent neural network, to write an original novel using the characters from Westeros. Thoutt fed the AI system all 5376 pages of the five current books and it generated predictions on what will happen next. 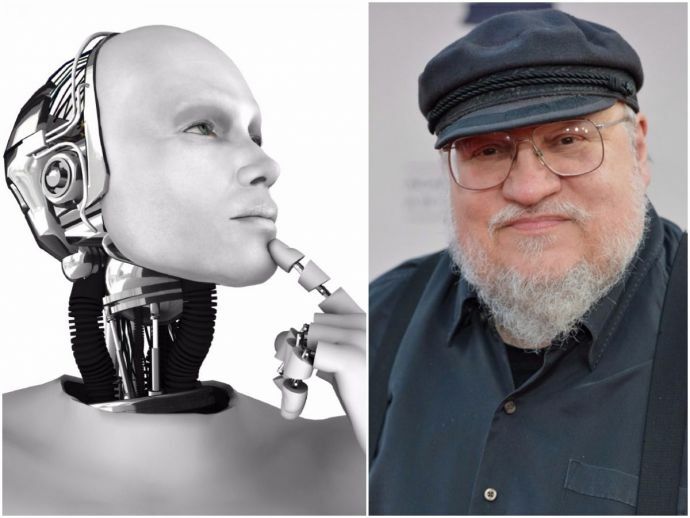 Reportedly the predictions made by the AI system align with some popular fan theories including Jaime Lannister killing his sister Cersei and earning the title ‘Queenslayer’, Jon Snow (well, Aegon Targaryen) riding a dragon and Lord Varys poisoning Dany. The machine also reportedly started each chapter with a character’s name. (Book readers will know, it's just as Martin does). Thoutt said that the machine makes a lot of mistakes and explained that the technology to train a perfect text generator that can remember complex plots over millions of words doesn’t exist. He also added that Martin’s made up words and locations made it that much more difficult for the AI to understand. It also wasn’t able to realize that many characters had died and continued on with their storylines. So far, the series - A Song of Ice and Fire - consists of five books which are A Game of Thrones (1996), A Clash of Kings (1998), A Storm of Swords (2000), A Feast for Crows (2005) and A Dance with Dragons (2011). The next book in this epic series, which is expected to be the next book, is the Winds of Winter, but there is no official release date for the forthcoming novel, no one, not even Martin knows when it will be completed. (The TV show is firmly ahead of the books). "I know you all want to know about the Winds of Winter," Martin wrote in a post on his live journal. "I am still months away (how many? good question.) I still have good days and bad days and that's all I care to say." You can read the first five chapters of the project on GitHub, if you wish to as it contains spoilers for season 8.